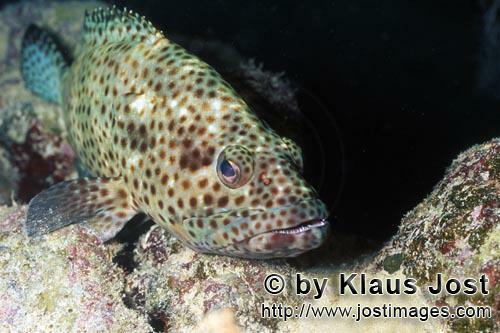 The Greasy grouper lives in Indo-Pacific is up to 75 cm tall and is very shy. It is found almost exclusively in the reef, often in open water. In case of danger he presents his highly thorny dorsal fins. The Greasy grouper is suspected, to transfer the ciguatera poisoning.